To honor those who have lost the battle against cancer and the people who have survived or are currently fighting it, West Side held its PinkOut game to coincide with Homecoming week. 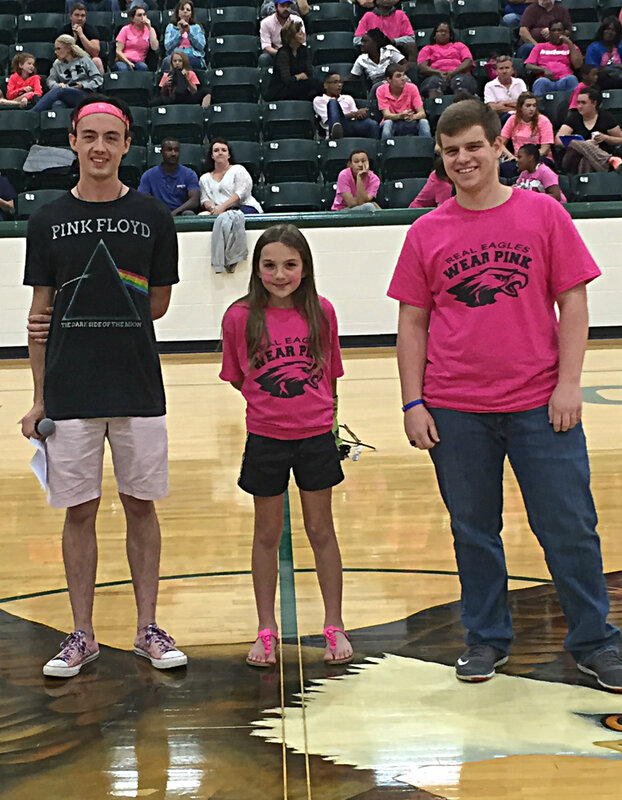 The West Side High School Student Council, using the proceeds from selling PinkOut T-shirts to students and the Greers Ferry community, donated $500 to Kira Harper and her family to help with medical expenses. Kira is a third-grader at West Side Elementary and a cancer survivor. Pictured: Aaron Seward, president of the Student Council, Kira Harper, recipient, and Ben Smith, vice president of the Student Council.